Company liquidation is not just one process – in fact there are several different ways for it to happen, each of which will have an effect on the nature of the advice for companies that have gone into liquidation. 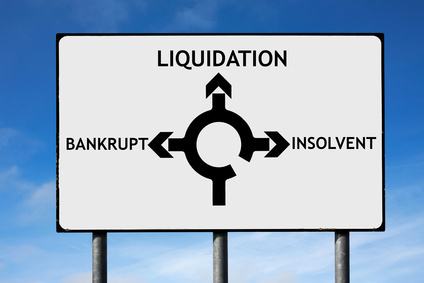 In general, company liquidation – also known as ‘winding up’ – occurs because your company has become insolvent and is no longer able to pay its debts. If you petition for compulsory liquidation, your creditors don’t have to be involved in the process, although at least 75% of your shareholders must agree to the decision. Your creditors can also apply directly to the court for a winding-up order, but there are several ways to prevent this, including by paying any debts you owe, putting your company into administration, or agreeing a Company Voluntary Arrangement or similar method to clear your debts. Members’ voluntary liquidations are typically used if, for example, you are reaching retirement and don’t want to sell a solvent business, or if you are stepping down for any reason and cannot find a successor. But in many ways, creditors’ voluntary liquidation is the best option, as it engages your creditors in the process and ensures any money your business can raise – such as from the sale of assets – goes towards clearing what you owe before you cease trading for good. Many people fail at their first attempt to run a business of their own, but that should not serve as a ‘life sentence’ to prevent you from ever being a director again. Although there are some restrictions on what you can do following company liquidation, you may apply to the courts to reuse the same or similar company name, or if the business and its name are sold by the liquidator, this can also allow a new company to trade under the name. Whatever your circumstances, our team are here to offer expert advice for companies that have gone into liquidation, helping you to understand the type of company liquidation you are facing, and the long-term implications for your future career in business.